Brazilian graphic designer based in Poitiers, France. A writing aficionado, my main fields of activity and interest are: typography and type design, publishing and visual identity projects – all approached through a multimedia perspective. For my master’s degree project on Graphic & Multimedia Design at the École Supérieure d’Art des Pyrénées (ESAP) in Pau, France, I fed the practical aspect of designing a text typeface with an extensive immersion in the proposals and realisations of the Brazilian modernists. The result is Honorata, the core of the work that was approved in June 2013 with first class honours. 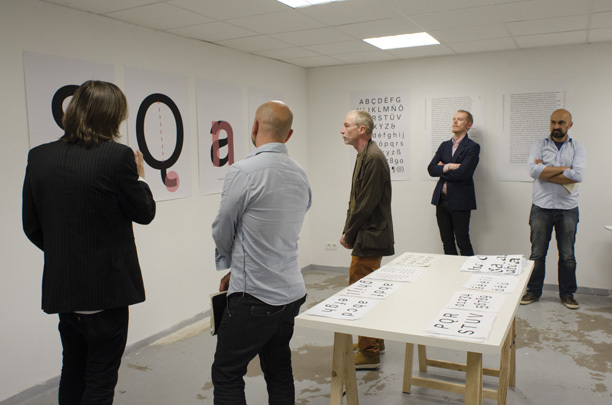 One year later, I attended the Post-Master’s programme in Typographic Research at the Atelier National de Recherche Typographique (ANRT), in Nancy, France. There, I started a research project regarding the creation of Paideuma, a multiform typographic family that aims at representing the evolution of modernity in Brazil, from baroque to Tropicalia. This site contains a sample of my works from early 2011 up to nowadays, assembled according to their main shared focus: typography and its various manifestations. I also included a section highlighting my publications as a researcher – activity that I undertake in parallel with the everyday practice of design – and a blog, in which I will publish the development of my current production (sketches, ideas, works in progress) and comments and reflections on Graphic and Type Design.